We have seen major leaps and bounds in the past decade or so when it comes to efficient home lighting and the options available to the public keep getting better. The designers at Nanoleaf are at the forefront of this movement and have successfully completed two Kickstarter campaigns for their unique products. Now, after a successful Indiegogo campaign Nanoleaf has launched the Smarter Kit on Amazon and at Best Buy Canada. 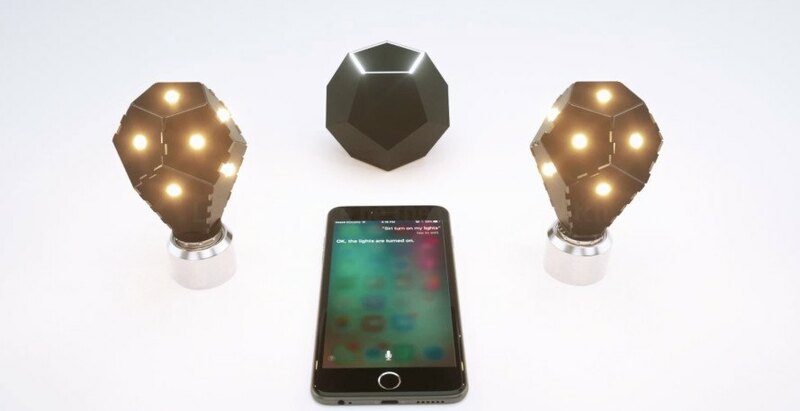 One of the first products enabled with Apple’s much-anticipated HomeKit capabilities, it enables homeowners to control their lights with a simple verbal request to Siri. 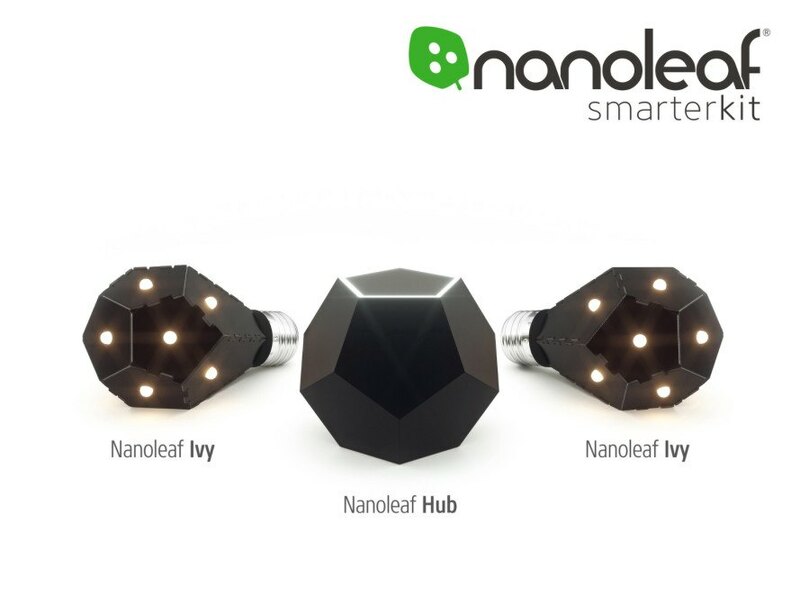 With a unique dodecahedron shape and matte black finish, the Nanoleaf Hub and Ivy bulbs stand out among the crowd. The specs of the kit are remarkable when compared to traditional bulbs: the Ivy bulbs are 60 watt LED equivalent yet uses only 7.5 watts of energy to produce 800 Lm. LED lighting is the wave of the future and is priceless when considering the savings for the average homeowner and the impact on the planet. So, how easy-to-use is the kit at home? Nanoleaf boasts a simple set-up routine and customizable settings for different mood lighting. For example, one could set up their voice commands to ask Siri to “Set my lights for movie night.” The design of the Nanoleaf Hub is also no accident: instead of creating a boring boxy design – much like our routers and other miscellaneous hardware – the sleek geometric shape is a centerpiece in itself and its pentagon shape lights up gently. The Smarter Kit seems to be the perfect marriage between lighting efficiency and charming aesthetic design.